Keeping your inventory as lean as possible, you can save money. But it will take some effort. Here are some smart ways to cut back without compromising revenue and customer service. Effective inventory management starts with a physical count. Accuracy is essential to knowing your cost of goods sold — and to identifying and remedying discrepancies between your physical count and perpetual records. Your accountant is a great resource to help you by introducing an element of objectivity to the counting process to minimize errors. A good practice is to compare your costs to those of other companies in your industry. Days in inventory (average inventory / cost of sales) × 365 days. Your company should strive to meet — or beat — industry standards. 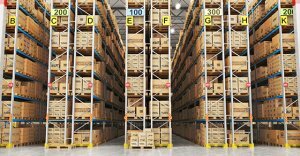 For a retailer or wholesaler, inventory is simply purchased from the manufacturer. But for manufacturers and construction firms, the account is more complicated. It’s a function of raw materials, labor, and overhead costs. And don’t forget the carrying costs, such as storage, insurance, obsolescence and pilferage. You can also improve margins by negotiating a net lease for your warehouse, installing antitheft devices or opting for less expensive insurance coverage. To cut your days-in-inventory ratio, compute product-by-product margins. Stock more products with high margins and high demand — and less of everything else. Whenever possible, return excessive supplies of slow moving materials or products to your suppliers. However, your product mix can be a delicate balance. It should be sufficiently broad and in tune with consumer needs. Before cutting back, you might need to negotiate speedier delivery from suppliers or give suppliers access to your perpetual inventory system. These precautionary measures can help prevent lost sales due to your new lean inventory. Another important metric that’s not available from benchmarking studies is the reorder point. That’s the quantity level trigger to order more. Reorder point is a function of your volume and the purchase order lead time. Consider giving your suppliers access to your inventory system, so they can automatically ship additional stock once inventory levels reach the reorder point. Often management is so focused on sales, HR issues, and product innovation that they lose control over inventory. We can help you do a reality check, provide industry benchmarks, and calculate ratios to help minimize the guesswork. Contact Carey Denman, CPA, Ciuni & Panichi, Inc., Audit and Accounting Services Senior Accountant, at 216-831-7171 or by email here. PreviousPrevious post:Early 2019 Business Tax DeadlinesNextNext post:Can You Save by Prepaying Property Tax?